With on-board CPU image processing, the new Panasonic KV-S5076H scanner radically outpaces the competition. Instead of a software interface, the scanner’s on-board processor does the heavy lifting. Conventional scanners put all of the processing tasks onto PC-based software. The KV-S5076H scanner has its own, built-in CPU that handles most image capture and processing steps from sharpening and contrast to trapping errors. Because it dedicates all of its on-board computing power to a single purpose, the KV-S5076H easily outpaces the most powerful PC-based scanning software and supports features that save time and reduce errors. The KV-S5076H performs a single, hi-resolution scan then temporarily saves the raw image data in memory that stays intact until the desired image quality is achieved and the document is output as a file. If you spot an error or need to change scan settings on a single page, or a thousand pages, you can reprocess the entire document from memory instead of rescanning page after page. The KV-S5076H instantly provides nine different scanning options so you can choose what your final output will look like before you output to file. You can choose the right image quality for your final scan at a glance and process it with a single click, no tweaking or test scanning required. 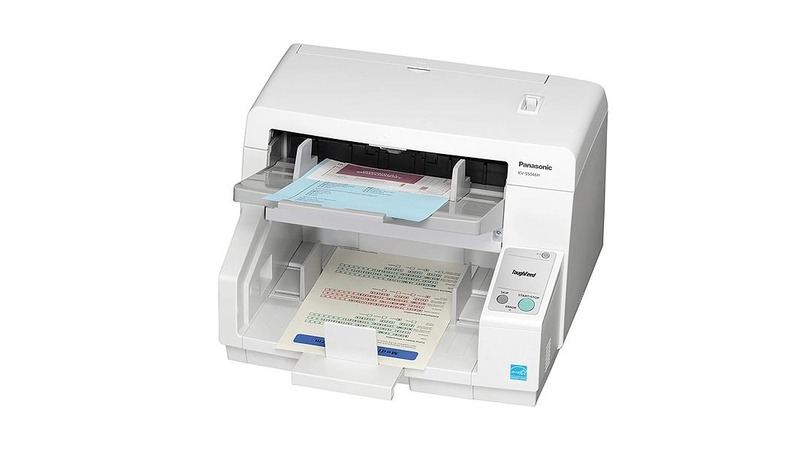 The KV-S5076H continuously analyzes output quality, flags poor scans and blank pages, then generates a warning icon for each questionable page scanned. It’s easy to review hundreds of suspect pages at a time, and if you need to reprocess a page, you can do it with just a few clicks. With its 300-sheet capacity, automatic error detection and correction, plus staple detection and mechanical de-skew, the KV-S5076H makes it easy to start a scan batch and move on. You can even program up to 100 workflows that automate document management. Thanks to commercial-grade rollers and automatic, self-cleaning features, you won’t be spending time maintaining the KV-S5076H either.